The Right Keywords – SEO works on a basic principle- insert the right keywords at the right places in an article. Do a short research and find out the keywords that relate to your business that are most likely to be searched on the various search engines, Google, Yahoo, MSN etc. Insert the keyword at times 3-4 times in your article, in headlines as well as subheads. Analyzing Competitor Websites – SEO is a race of its own kind. It’s your approach towards SEO copywriting that will win you the race. To get it right, go on to your competitor’s website occasionally and get an access to what is making Google rank their website on the top. Title Tags and Meta Description Tags – Title tags have enormous ranking value. Be the attention seeker, if you have to survive in this market and make your links clickable by using unique title tags on every page of your website and optimizing them. Content of an Article – The quality of content must be top notch. SEO copywriting relies on the use of the right keywords at the right places. It may put you in the spotlight for some time but it is up to the content whether you stay there for long or not. The quality of your content decides your customer’s interest. Writing Links – Build links that are perfectly search engine optimized and are reader-friendly. Building user friendly links will enhance your site’s ranking. Also ensure that you get your keywords into the link text. SEO copywriting can fetch you great results if you get it right. The world of web may be over used, but it is here to stay, leaving the only option to marketers – Grab the attention! SEO is the buzzword right now in the content writing industry. It has become all the more popular owing to huge rush of demand from major sectors of the economy. What’s more? The craze for SEO is directly proportional to the usage of internet and related services. Those who are adept with Java should note that it’s not always the best option. Try using text links instead. Make the title catchy. A title that attracts reader’s attention will definitely help you get a higher ranking. If the title isn’t that great and otherwise also, make your content as interactive as possible. This will help you maintain the page rank in the longer run and make readers comeback to the page. Some things do not really matter as much as they are believed to. For example, the URL links. It is no more than a myth that the more the URLs in your SEO driven content the higher will be the search ratio. Nothing is more seductive than *fresh*. Fresh content always makes a difference. Internet is full of words, CONTENT. So any original content is always welcome. There are a whole lot of ways that can help one make the SEO work. The most important one however is that keep the content focused. KISS is a simple strategy that should be followed in SEO copywriting. Now don’t get your wild thoughts running here. KISS means ‘keep it short and simple’. And yes, do remember to proofread. An article written for a website and the one written to promote a website are very different from each other. One has to use a conversational style of language in the latter one in order for it to capture attention of the reader. If it turns out to be an extremely formal one, no one would be interested in reading, forget about visiting your web space. Apart from the quality of the article, the technical aspects matter too. Find out a set of keywords and make sure to incorporate them in the written content. This will improve its chances of getting ranked at a higher place by various search engines. The basic purpose of an article is to help you get more visitors. While you are submitting your articles to a website, don’t forget to introduce yourself and your business. Use the resource box provided by these websites at the bottom. You can also provide a link to your website below it. Almost all the article submission websites have a certain set of guidelines to be followed while writing. Make sure you keep a check on the word limit to save your article from being the victim of omissions. To write articles that serve the purpose right, you can also hire the services of a professional SEO content writer. Being aware of SEO copywriting and various aspects of it, these individuals’ help in producing the right content with the keywords placed at the most suitable places. The world of Internet today is ruled by millions of websites. Websites of various companies, brands, people and so on. There is absolutely no dearth of writers who specialize in writing for web and social media. But then there is equal amount of competition to deal with. Companies out there have adopted various strategies to excel and they leave no stone unturned to make sure that their online space is well developed and designed and reaches the maximum number of target audiences that it can. So, what are these strategies? 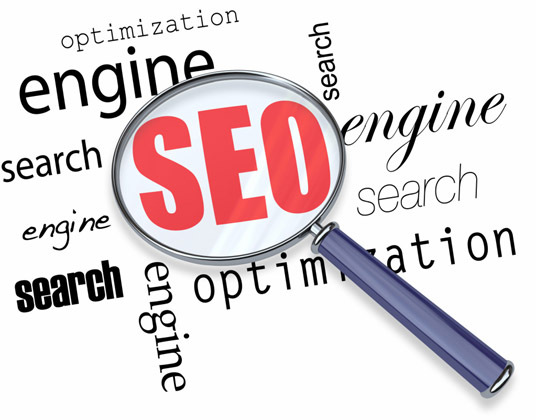 SEO copywriting- You reach an internet user only if you are highly visible. To enhance this visibility, you post content on your website or the blog that contains a set of specific keywords that helps in increasing your page ranking and hence the visibility. Now, to say that content must be relevant is an understatement. There is so much more to a content to deliver desired results than just this. Well written SEO content is high on keyword density; it is relevant, efficient and has the power to engage its readers. It speaks of sense and is not just a plain description. Content writing for SEO needs to be exclusive and unique in order to ensure that it achieves the targeted goals set by a company. Web content writing as a part of promoting a brand is not only a trend but also a necessity. It takes your brand to new heights at the same time, retaining its value and image. So, how does one get the right content? The simple answer is SEO copywriting. If you can’t do it yourself, hire a professional. An SEO copywriter specializes in producing content for your personal space that is well written and tends to hit the right chord with your target audiences in terms of establishing a permanent and healthy relationship as well selling. SEO services in India have recently taken the longest strides in the world of online marketing. The internet boom in a multicultural society like India has always been observed as the biggest platform for creating a plethora of opportunities not only for the people of the country, but also for those who depend on our IT aura. Information technology in the Indian sub-continent has gained immense heights in the last few decades. The upsurge in the creation of websites itself tells the story. Today, there’s a web portal for each and every need of a normal human being. Be it shopping, buying homes, starting a business, getting a life-partner etc., you just need to sit in front of your computer screen and ask your genie to show you what you need!! SEO services in India and its demand adds to the peripheral of the outsourcing business in the country. Outsourcing in India has become a major contributor to the country’s IT revenue. What lies behind the success of an online business website is a successful online marketing campaign. The real problem lies in getting a particular website recognized on the web. For those who do not know much about SEO, trouble lies ahead if you are planning to bring the website on the top of the search result pages. Keeping a website on the top end of the game is not only a huge task, but at times it can be quite merciless as far as emptying your pockets is concerned. SEO outsourcing or hiring SEO services in India can be an answer to all such questions and fears. The primary reason of outsourcing SEO services from India is the advantage of the savings opposed to what it would cost a website owner to hire an in-house SEO expert. However, it is important to remember that outsourcing SEO reduces cost not only with infrastructure but with also training time as well, not to mention the overhead costs of recruitment, management, staff turnover, etc. Globalized standards of living differ from location to location. SEO services in India have successfully adapted themselves with all kinds of SEO demands from various website owners all around the world and thus have established themselves as the best SEO service option in the world. With the right documentation and effective communication, SEO services in India help in efficiently reducing the delivery time. This is because most of the established SEO firms in India have an evolved and have proved themselves to be diligent as far as work ethics is concerned. They also have SEO as their primary focus and have developed processes and best practices that a website can benefit from. Since India is one of the biggest markets of the outsourced SEO services it is safe to say that there is the requisite knowledge base in the country. An outsourced SEO service in India is known for its good quality services for both on-page and off-page optimization, as well as for other online marketing activities. SEO services in India are affordable for most any size of international offshore companies. Apart from all the above benefits, SEO services in India provides content development with effective keyword density, technical SEO compliance, image, local & industry-specific search engine optimization, participation in relevant blogs, forums and other customer touch-points and continuous monitoring, refinement of SEO strategy and much more. Outsourced SEO often means that the SEO service in India handling a website’s SEO projects is not in the same location as the other respective company. This could potentially be a problem if the website owner is not positive that the SEO knowledge of a particular SEO firm in India being hired is up with the ever-changing technology and times. One needs to make sure that the SEO firm chosen should not employ older techniques and practices. Due to the difference in location, provisions must be made by both parties – the SEO companies in India as well as the client – to keep up to date. Time difference could be a problem during holidays or weekends when the time zone is not the same. This is both a pro and a con in its self. Clear and consistent communication is the key to bridging these gaps. While outsourcing SEO or any other service, a website owner needs to make sure that the SEO services in India have done their homework to qualify that the company is appropriate one. Many times, it is hard to know how long a company has been in business. Thus, SEO services in India are the next big thing in SEO outsourcing. However, one needs to take care of the above points before choosing for a SEO services in India. When it comes to SEO copywriting, the only factor that keeps ticking in your mind is traffic. It is definitely way different from the honking carnival that you go through when you are in your vehicle on the way to your office. The website traffic I more of a friendly asset which actually brings prosperity to a particular kind of online business. All said and done, what is actually this SEO copywriting? Well, if you are into online business, SEO copywriting is the sole key to your success. SEO copywriting services always help you spread your wings in the online arena. It’s the first few lines of a web page in a website which play a major role in engaging a reader. If the article or the SEO copy is worth reading, visitors prefer reading through the entire stuff. Quality writing is an essential part of creating a compelling SEO copy. Qualified and experienced content writers are the people who take the onus of writing engaging SEO copies for the websites. Another important factor which plays a key role in adding to the success of an online business is the selection of proficient SEO Copywriting services. Also, these SEO Copywriting services should be comprised of proficient SEO copywriters and content writers who possess the ability to write high quality and informative content copy. India being one of the most competitive IT grounds in the globe; the visibility of the Indian online business sphere has increased exponentially during the past few decades. So has the need for SEO Copywriting services in India. A plethora of websites in the Indian sub-continent have surfaced themselves in the recent past. Starting from online shopping to all kinds of business portals, SEO Copywriting services in India have gained huge momentum in terms in their importance. As far as the new changes in the SEO Copywriting services are concerned, several new trends have been introduced in order to meet the demands of the ever-changing needs of the online business hemisphere. It not only the keywords and its uses which matters these days in the SEO Copywriting services in India; these days, a professional SEO copywriter always uses different optimization methods with the web pages. These include image optimization, text optimization, flash optimization etc. Generally, this particular set of optimization activities is referred to as on-site optimization. Another important SEO technique used these days is the Geographic optimization. This particular optimization technique is only used when demanded. The basic purpose of this optimization technique is to include web pages in search listings for internet users who search services in a particular geographical region, county or state. Creating a host of content rich blogs on word press, BlogSpot, blog flux, hub pages are among latest trends and it has really proved effective in improving search engine rankings for most of the websites in India. Social bookmarking is in trend for a pretty long time now. Hundreds of social media websites that allow ‘follow’ backlinks helps in improving your link popularity as well as some quality traffic. Last but not the least, another trend in SEO Copywriting services in India is unique article marketing. Well, it is all-time hot favorite SEO technique for webmasters. However, one should prefer manual submission of unique article only in few top article directories rather than submitting in thousands through software. Most of the new trends in SEO Copywriting services in India have been using these methods to create a new era in the online business market in the country. And the result is in front of us, online marketing has supposedly acquired the status of being the biggest and instant revenue generator. When you open a website, your eyes go through its graphical features more than its content. But the content of a website holds a very important place as far as the popularity and rank of the website is concerned. Recently, businesses all over the world have realized that internet is a wonderful platform to explore new marketing possibilities. Online marketing is the new buzzword in the business world today. Millions of small and large business enterprises worldwide have their own websites for a better hold in the market. But building a website is not just enough to attract visitors and other business prospects. SEO copywriting is an important tool while building a website for a business enterprise. SEO copywriting is one of the fundamental components of internet marketing. SEO copywriters are responsible for producing content that is liked by both the search engines and visitors. A human vision becomes impatient when it does not get its desired information in front of its eyes. Content with complicated vocabulary and haphazard information does not add to the quality of content. Fresh and simply written content attracts more visitors and search engines. This is what SEO copywriting is all about. A professional online advertiser and a regular blogger always look for more readers for their blogs or websites. SEO copywriting plays a vital role in bringing more readers and web spiders for a blog or a website. Keywords used in a SEO copy are generally the name of the website for which the copy is being prepared for or the words from the supplied content. The keywords must be positioned cleverly in the web content and these should be of precise length. Apart from optimizing the webpage content, SEO copywriting services also includes optimizing other page factors such as page title, headings, keywords, description, and ALT tags. SEO copywriting is more effective when there is a lack of search terms to target, the competitiveness of those terms are low or mediocre or when the internet marketing campaign is long-standing.